Although better known for writers than visual artists, the state of Mississippi indirectly enabled color photography's acceptance as an art form through native son William Eggleston's landmark 1976 solo show at the Museum of Modern Art—a show that set the tone for much subsequent color photography as we see in these two adjacent exhibitions. Troubled Waters is a selection of mostly low key Eggleston works from the William Greiner collection. Many appear deadpan, but a closer look reveals paradoxical contrasts, so a prim family room with wilted 1950s furnishings and a Hammond home organ suggests a latter day Eudora Welty short story she never got around to writing. 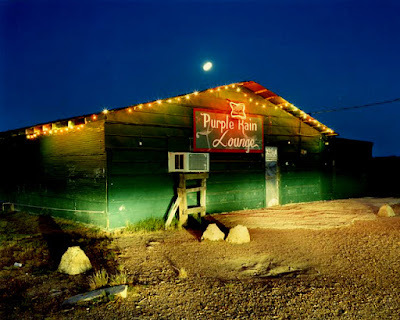 Views of roadside diners with Formica counters and chrome juke boxes suggest ossified archaeological artifacts of suburban pop culture, while strands of old Christmas tree lights seem to strangle porch columns like electric jungle creepers. 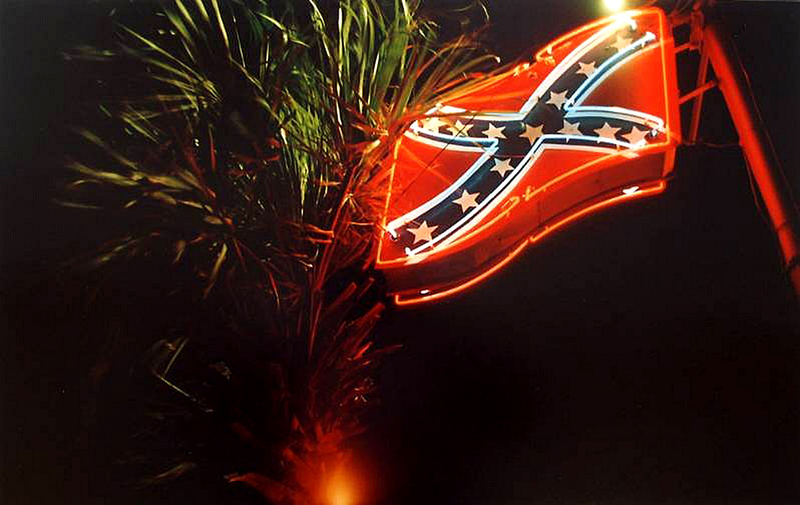 Eggleston's manic gonzo style makes a cameo appearance in a night scene with a luridly glowing Confederate flag neon sign engulfing a ragged palm tree in its infernal crimson aura, an omen like a latter day burning bush illuminating the byways of the oblivious. Nola native William Greiner works in an Egglestonian mode infused with his own unique quirks. 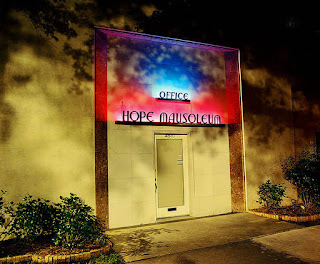 Jet Over Blue and Black House, Kenner LA recalls the vertiginous vibe of America's airport towns, but Hope Mausoleum's deco flourishes and glowing geometric sign suggests Mussolini-era Italian expressionist cinema set in Mid City. Birney Imes' iconic photos of juke joints like Purple Rain Lounge, top, celebrate the Mississippi Delta's vast expanses and Soweto-like shanties, while documentary images by William Christenberry and William Ferris capture the haunted soul of the Southern landscape. 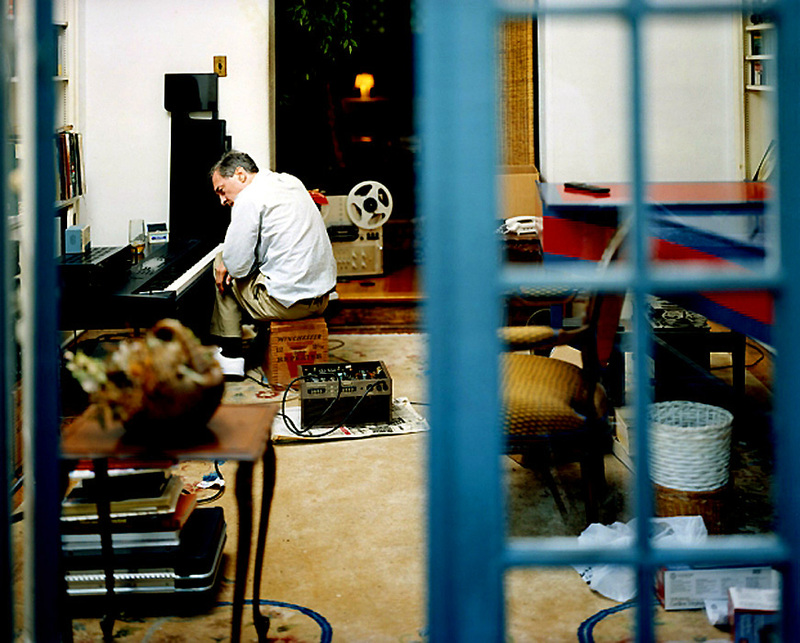 Finally, Alex Soth's through-the-window portrait of William Eggleston at home, top left, with his vintage piano and audio gear reminds us that paradox is a human invention, and Eggleston may be the most paradoxical contemporary photographer of all. ~Bookhardt / ﻿Troubled Waters: Color Dye Transfer Prints by William Eggleston; The Colourful South: Color Photography in the South, Through Oct. 26, Ogden Museum of Southern Art, 925 Camp St., 539-9600.